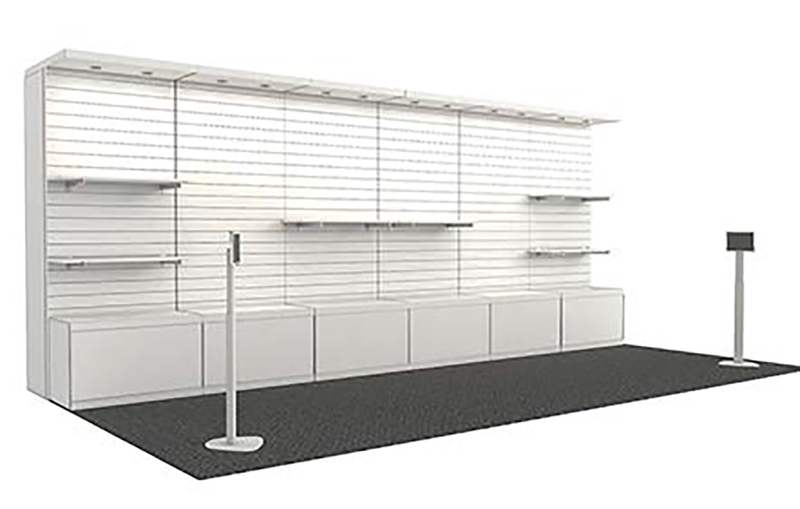 Choose this for more generous, adjustable, slat-wall shelving that can be changed based on the show layout, traffic patterns or both. You’ll have a long stretch of platform bases, and two tablet stands. This booth provides maximum display flexibility without the traditional reception counter, enabling a freer, more relaxed environment.